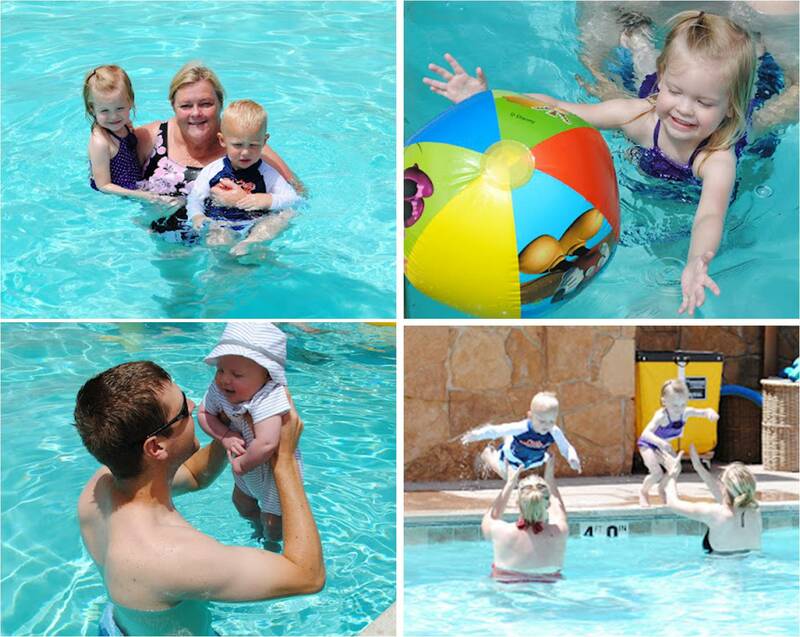 We started our 4th by the pool at Stein Ericksen with Brian's Family. Baylor and Brooklyn spent most of the time jumping off the side, while Braden just got to put his tiny toes in. Then we were off to the famous stein BBQ with my favorite.....tomato bar:) Always delicious!! After the dinner we decided to pack some more fun into the day, so we headed to the Sadium of Fire for some Beach Boys entertainment. I think we may have over done it this year! Braden slept almost the entire time! Poor guy was tuckered out from our crazy event filled day. On the 24th, it is a family tradition to go to my Grandma Gardiner's house to watch the Liberty Park fireworks. I think this is the first year my grandma didn't step outside to watch the fireworks:( She is 92 and pretty weak from her cancer, but always happy to have us around. Fun happenings!! 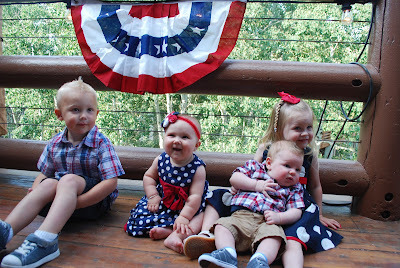 I agree... cute cute grandkids! :) Looks like you guys had an awesome July!